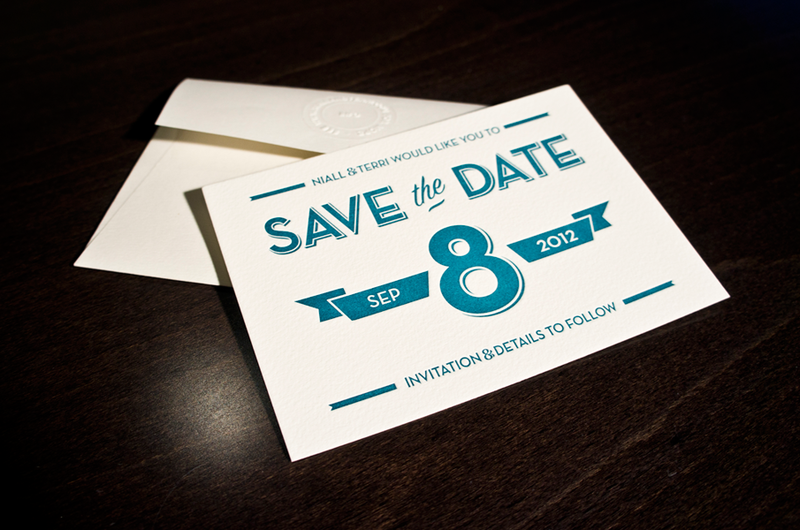 Save the date notices are a popular and trendy part of planning today’s weddings. 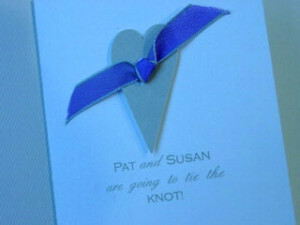 Traditionally, the family of the bride and groom would announce the engagement and then a wedding invitation would follow. A lot of time and effort goes into planning a wedding. Some weddings take up to two years to plan and prepare for. 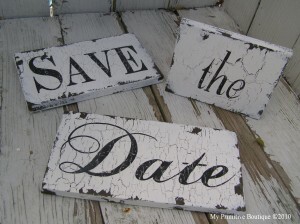 Once a date has been set, sending a save the date notice gives your guests notification of when your celebration will be and that they should not plan anything else for that date. Save the date wording can vary depending on how formal, informal, or clever you plan to be about communicating your save the date announcement to your wedding guests. You’ve already announced your engagement to your family and friends. They know who you are and recognize you in photos. Sending a simple photo postcard with nothing more than your name and the date of your wedding says all you need to say. Communication comes in many forms and sometimes, less is more. 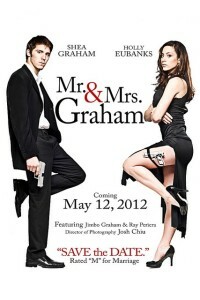 Some couples may choose not to notify family and friends of their engagement until they have decided on a wedding date. In that case, they may choose to send a save the date notice that serves as an engagement announcement and save the date all in one. Using a short phrase like, we’re getting married or look who is tying the knot is about as much wording as you want to add if it will also serve as a save the date notice. Couples can get pretty creative with save the date designs and wording. It’s a huge celebration they are announcing, so why not have some fun with it. 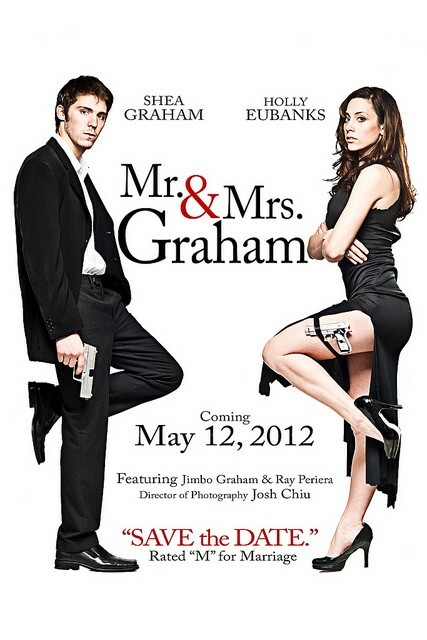 Using images, layouts, and save the date wording to create a major motion picture cover poster or book cover image is a fun way to put your guests on notice that their presence is requested on that date. 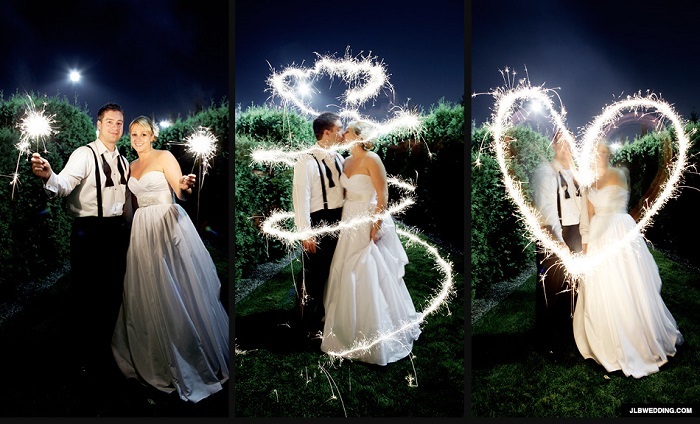 Be creative and have fun when planning your wedding. Save the date notices can be presented in many different ways. Some ideas include using small puzzles, magnets, or printed ticket style cards that look like a ticket to a movie or other event. Magnets are great because it gives the recipient a small token of remembrance before the party even begins. 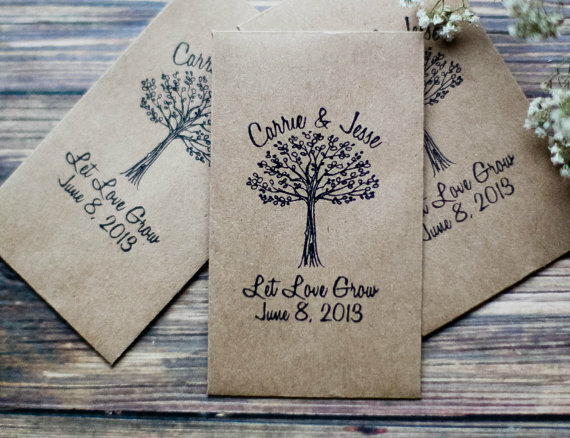 If you choose the ticket style save the dates, you can use wording like, admit one or one night only to carry the ticket theme to your big event. One little line can save a lot of panic and hysteria when your save the date card is received. Adding the words, formal invitation to follow or details and invite to follow will prevent everyone from picking up the phone and asking a million questions such as where will the reception be held. 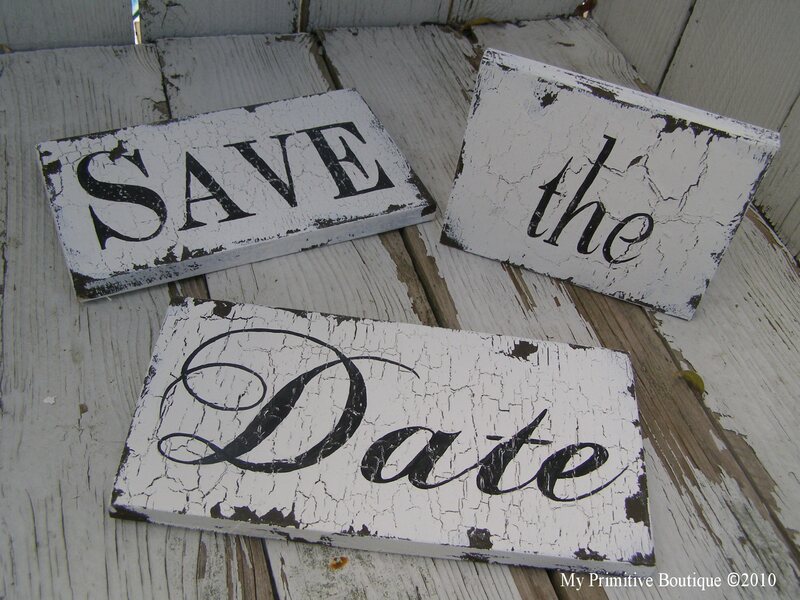 Save the date notices are a fairly modern tradition when it comes to wedding planning and many older family members may not understand the purpose of the card and mistake it for an invitation. While the majority of save the date cards are sent for the sole purpose of announcing the big day, many people also choose to be a little sentimental on the wording. Please share our joy, come share in our happiness, or be a part of our celebration are all great phrases to make your friends and family feel warm and fuzzy inside. It goes a little beyond saying, this is the date, hope you can make it. 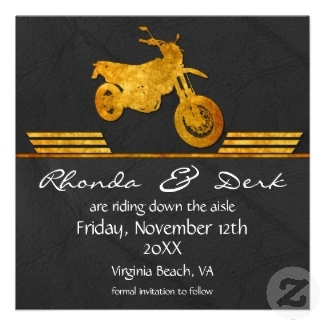 If you have a hobby that you share such as fishing, motorcycling, or boating, feel free to incorporate it into your save the date announcements. Even if you don’t plan on taking the theme through to the reception, it’s still fun to use for informal information sharing. Boaters can use wording like, the party will set sail and those who love the outdoors and fishing might want to use something like, she fell for him; hook, line, and sinker. Remember, these are merely a reminder to have the date, so have fun with them. 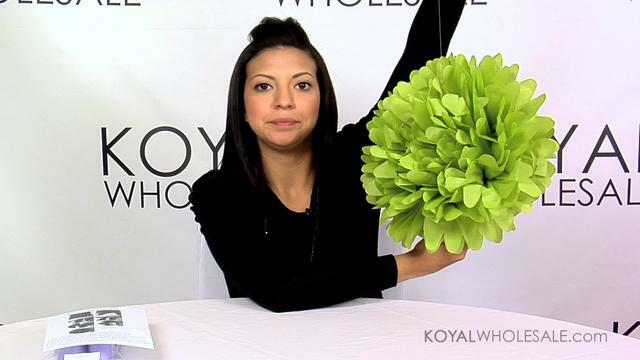 Your message doesn’t have to be lengthy to give off a formal appearance. Using script or calligraphy style font types will give your save the date card an elegant appearance, regardless of the wording used. If you want to maintain a formal style, use phrases such as, request your presence, reserve the date, or we hope you’ll be able to attend. 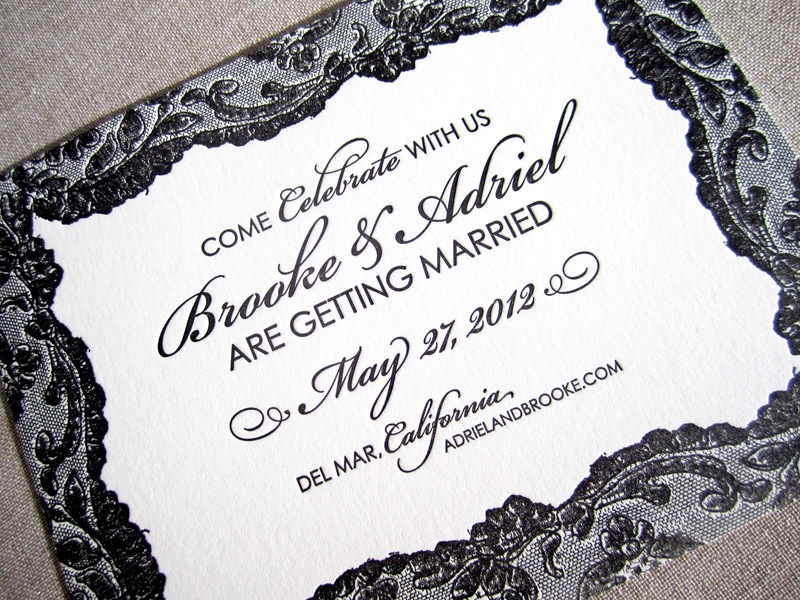 These are not your actual invitations, so try to keep it simple. Using poetry and rhymes is a fun and creative way to announce your date. Create a short little verse like: “they’ll hold in their purse until it comes time for you two to rehearse. 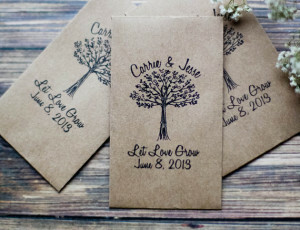 Just give them your names, provide them the date, and for your formal invitations they then shall await.” It’s really quite simple to have fun with words while saving the date for two lovebirds. 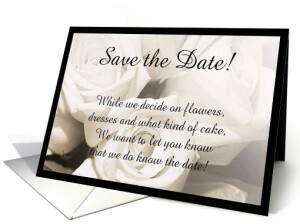 There are many inspirational and romantic quotes and sayings that can be used for save the date notices. 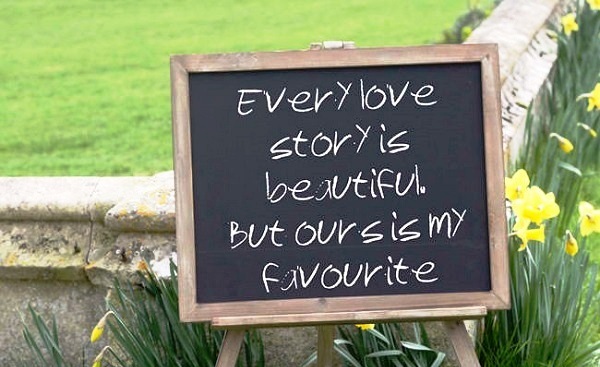 You may have a favorite of your own that you would like to share with your guests or you can choose one of many that are suggested by wedding planners and professionals. There are many websites such as The Knot that can help you to choose perfect wording for your save the date reminders.